Delhi University Student Union (DUSU) elections are underway. The voting for the students of Day classes began at 8:00 am and will continue till 1:00 pm and for evening classes will be carried on from 3:00 pm to 7:30 pm. 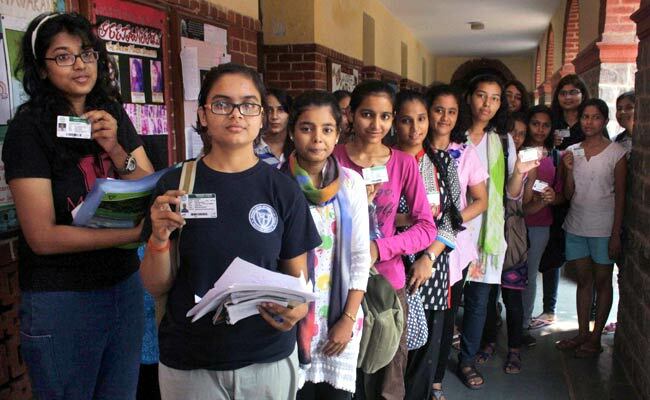 New Delhi: Delhi University Student Union (DUSU) elections are underway. The voting for the students of Day classes began at 8:00 am and will continue till 1:00 pm and for evening classes will be carried on from 3:00 pm to 7:30 pm. The University will announce the date, time and venue for counting of votes later. A total of 10 candidates are contesting for the post of DUSU President this year. The main contenders this year are from Akhil Bharatiya Vidyarthi Parishad (ABVP), National Students Union of India (NSUI), Students Federation of India (SFI) and All India Students' Association (AISA). The elections will be held as per the constitution of DUSU and Lyngdoh committee recommendation which prohibits the use of any printed material for election campaign. Hence, the parties can be seen flooding Twitter and Facebook timelines with appeals to turn out in large numbers for voting. With the altercations between students at Ramjas and members of ABVP still etched in students' memory, it is to be seen which party is preferred by the voters in the DUSU elections. Delhi University in the previous elections had also introduced the option of NOTA which was preferred by many students. In a victory which is being held by NSUI as a countdown to their ultimate victory in DUSU election, the contender for President's post from NSUI Rocky Tuseed whose nomination was cancelled on the grounds of disciplinary actions appealed in the High Court and was allowed to contest the elections.